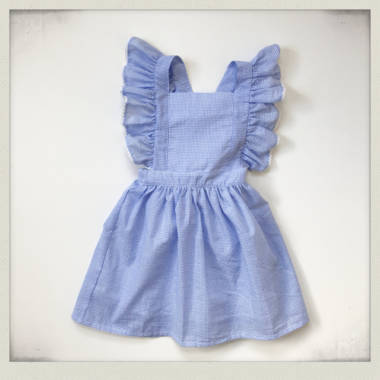 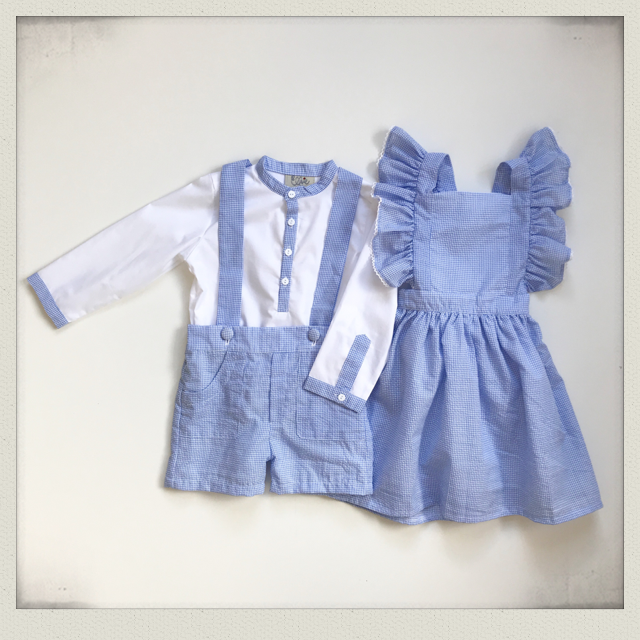 Pale blue mini gingham seersucker pinafore dress with lace edging on frill straps. 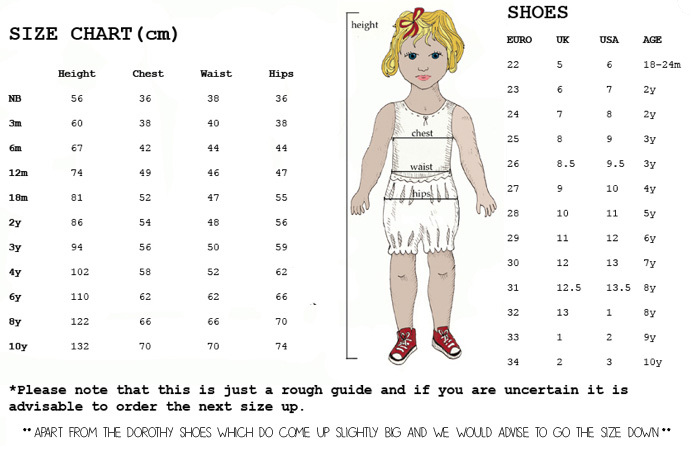 Elasticated waist at back. 100% Cotton.